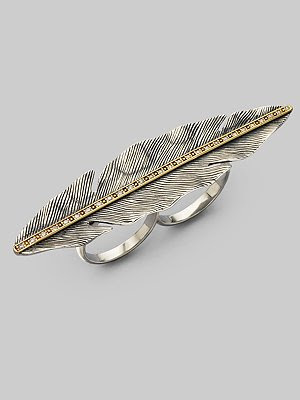 I am constantly being surprised by the awesome jewelry that Forever 21 has. 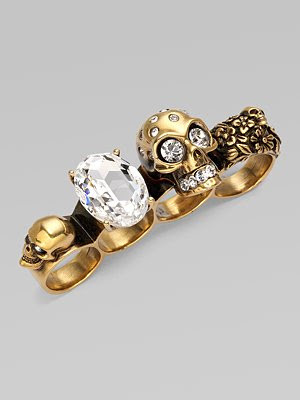 However, nothing beats that killer McQueen ring! I love the two finger rings and that Alexander McQueen ring is amazing. I love the one you got from Forever 21 too! I was just there on Friday and I saw it and was debating over it. Of course they didn't have my size, so I wasn't able to get it. i love those rings! they are so great! i saw that ring and almost got it! it looks great on you though!!! 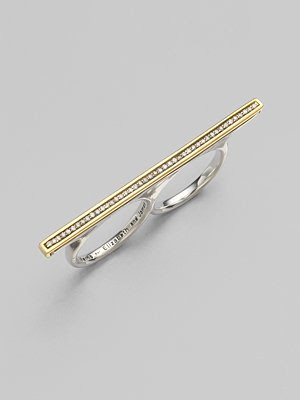 Forever21 IS great about having unique jewelry for even better prices. 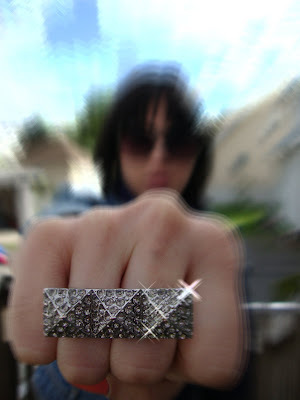 My first two-finger ring was a black cross... :) So punky, but still fun to wear with cute dresses. LOVE the a. mcqueen duster...*jaw drops.. I'm dying for a knuckle duster ring. That McQueen ring is fantastic.